Serge Lajoie is back where his junior hockey journey started, before the great Kamloops dynasty years in the early and mid-90’s. Lajoie, who enjoyed a brief cup of coffee as a Blazer during the 1986-87 season, became the newest head coach of the well-known franchise this past June after years of consistent success on the ice and behind the bench with the University of Alberta Golden Bears. The 49-year-old Bonnyville, Alta. native coached a Golden Bears team led by WHL alumni Tyson Baillie (Kelowna Rockets), Cole Sanford (Regina Pats) and Riley Kieser (Edmonton Oil Kings) among others to a U SPORTS National Championship in Fredericton, New Brunswick last spring. 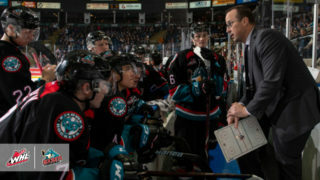 The @blazerhockey have hired Serge Lajoie as their new Head Coach! Lajoie was also a prominent Golden Bear on the ice from 1988-93, claiming Mervyn ‘Red’ Dutton Trophy honours as Canada West Defenceman of the Year in 1993 before four years playing professionally in Germany. 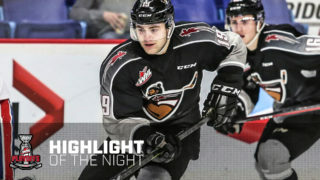 “I think for me, just knowing the skills, mindset and habits a player needs to move on from the WHL and be successful at the next level is a real asset,” Lajoie noted. “There are some programs at the U SPORTS level that aren’t too far below the level of professional hockey, and I think having a first-hand understanding of what it takes to excel in that environment allows me to help players establish that foundation for themselves. 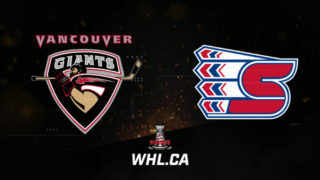 Lajoie, whose son Marc was a first round pick of the Tri-City Americans in the 2018 WHL Bantam Draft, takes on a lead role in Kamloops where a Blazer franchise that has missed the playoffs in three of the past five seasons is looking to make a resurgence in the WHL’s BC Division. The ice is ready! ? The club is off to a 6-7-1-1 start to the season, seeing flashes of promise in a recent four-game winning streak that included three in Seattle and Portland. 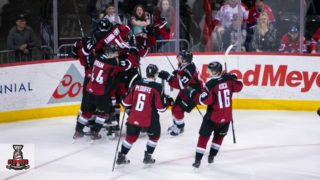 The Blazers are led by an ownership group spearheaded by Dallas Stars owner Tom Gaglardi along with franchise graduates and long-time NHLers Shane Doan, Jarome Iginla, Mark Recchi and Darryl Sydor. Excellence is demonstrated from the highest reaches of the organization in Kamloops. It’s been 23 years since their last championship, but Kamloops is still behind the Blazers. The 2018-19 squad is led by 19-year-old Zane Franklin (12-5–17), overage captain Jermaine Loewen (6-4–10) and puck-moving blueliner Nolan Kneen (2-12–14). Kamloops hosts the opening game of the 2018 CIBC Canada Russia Series tonight, doing so for a record-tying fourth time following events in 2006, 2010 and 2015. 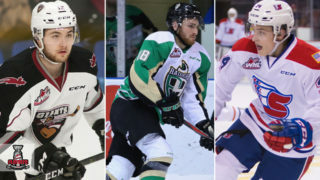 The CHL has won three straight series, though last year’s was decided by a shootout for the first time ever as Team QMJHL’s Samuel Harvey (Rouyn-Noranda Huskies) and Maxime Comtois (Victoriaville Tigres) came through with key performances in Moncton. 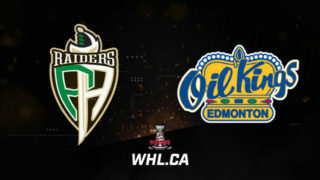 The puck drops at 10:00pm PT/7:00pm ET as RJ Broadhead and Sam Cosentino provide the call from coast-to-coast on Sportsnet.